Tucked away in northeast Boulder in an unassuming warehouse space is Geek Spirits, Boulder’s first rum distillery. silver rum before opening the distillery in March of this year. The couple ultimately decided on molasses and yeast from the Caribbean, and purchased German-made equipment to distill the rum. 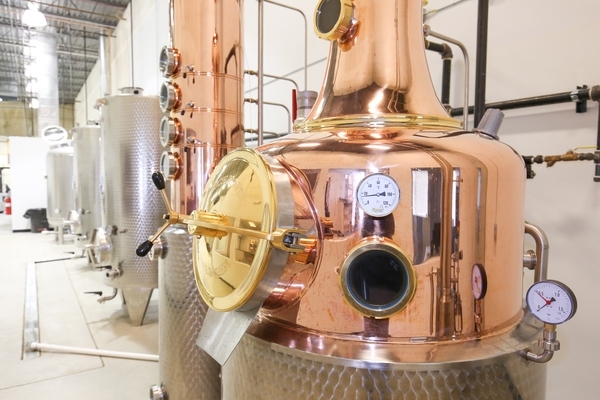 Every piece of hardware involved in the distilling process is named after their favorite geeks (the heating tank is named Newton, and the still is named Einstein). 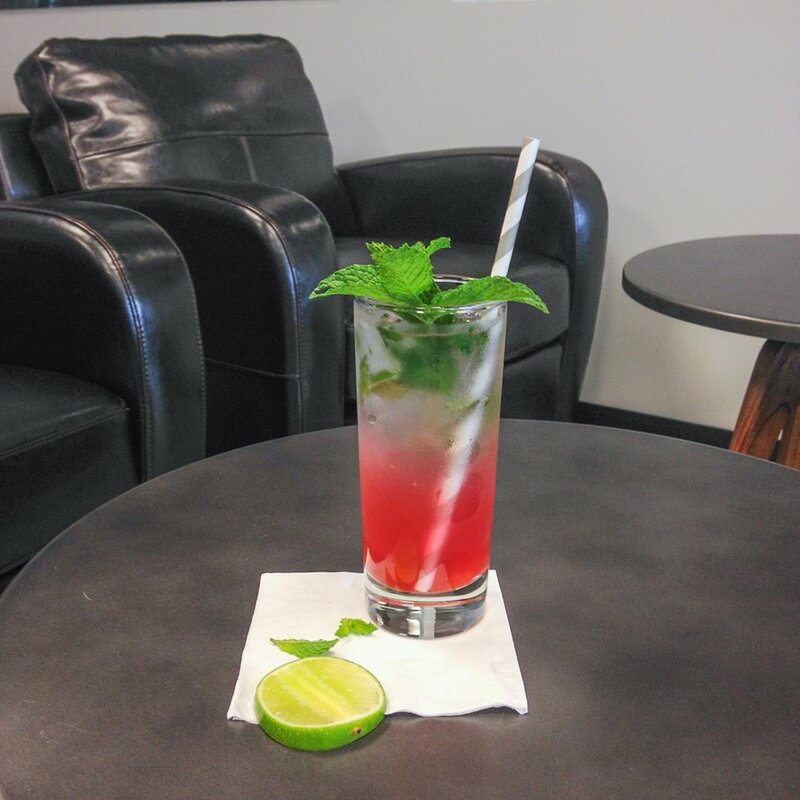 The process of opening the distillery, unveiling their rum, and creating a menu of delicious cocktails to serve in the tap room was a community effort. The brewers next door at Vindication Brewing assisted in setting up equipment, Pekoe Sip House and bartenders from The Bitter Bar and Salt helped to create some of the cocktails served in the tasting room (my personal favorite being the Haley’s Comet), and Boulder’s own Bryce Widom created the beautiful steam punk chalk art behind the bar. Since opening, Greg has taken the lead on managing distilling process, developing the rum, and keeping an eye on the equipment. Meanwhile, Sherial has utilized her background in industrial design and sales to market and sell their product. She’s the creative mind behind the Geek Spirits label, which resembles a molecule. Greg and Sherial will be unveiling a bourbon whiskey by the end of 2015 and a barrel-aged rum early next year. If they are half as good as the rum, I’ll be first in line. 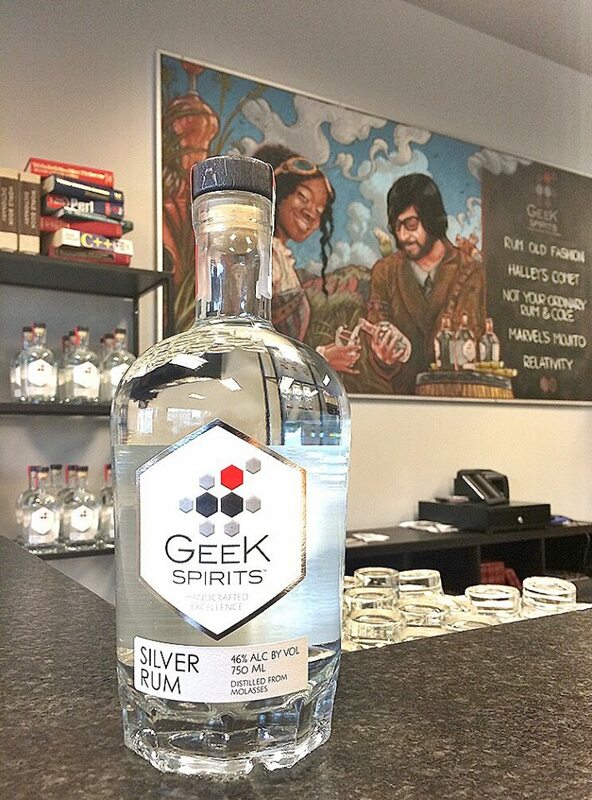 Geek Spirits is located at 6880 Winchester Circle #D in the Gunbarrel area of Boulder. The tasting room is open on Fridays from 4pm to 8pm and Saturdays from 3pm to 8pm. The rum is available to purchase at the tasting room, as well as several liquor stores. Previous Previous post: The Kitchen Next Door for Wine? Next Next post: Fresh Thymes: Eating With Power!